On Nov. 26, N.C. Central University and others received sad news that Chancellor Debra Saunders-White, 59, died after a long battle with kidney cancer. 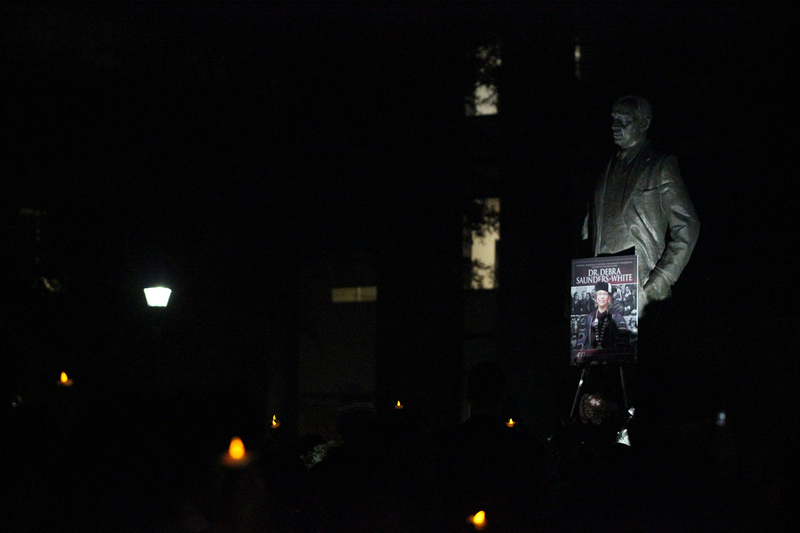 To honor and celebrate Saunders-White’s life, the university arranged a memorial service at B.N. 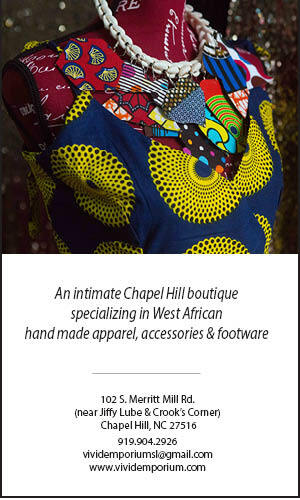 Duke Auditorium Monday evening. By 5 p.m., there was only standing room for students, faculty, and staff in the 250-capacity auditorium. Attendees were greeted with an uplifting and powerful gospel performance from the NCCU Worship and Praise Inspirational Gospel Choir. 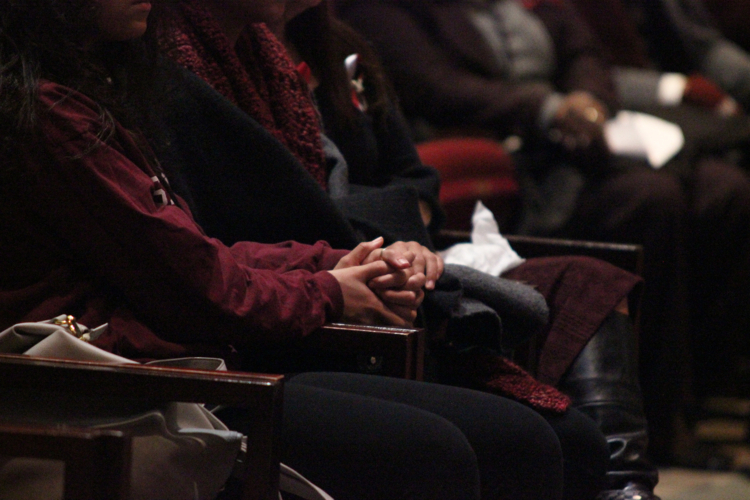 Several student volunteers stood in front of the stage with baskets of ribbons, offering attendees maroon and gray ribbons to pin on their clothing for the memorial service. At the service, Student Body President Alesha Holland, Miss NCCU Dajah Johnson and others spoke about their relationship with Saunders-White and her legacy. A video tribute portrayed Saunders-White’s spirited personality and dedication to the university’s students, faculty and staff. 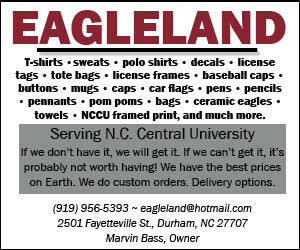 Attendees witnessed several moments of Saunders-White dancing and laughing with students, hugging new NCCU alumni on graduation day, and cheering on the football team from sidelines of the field. Keenan Farr, an NCCU junior, said he remembered having a deep conversation with Saunders-White during his freshman year while he was going through a difficult time. When Farr heard about her death, it shocked him. One of his fondest memories of Saunders-White was when she appeared at Homecoming’s annual event, Late-night Breakfast, during his freshman year. After the tribute video, the audience was led out of the auditorium row by row for the vigil lighting. 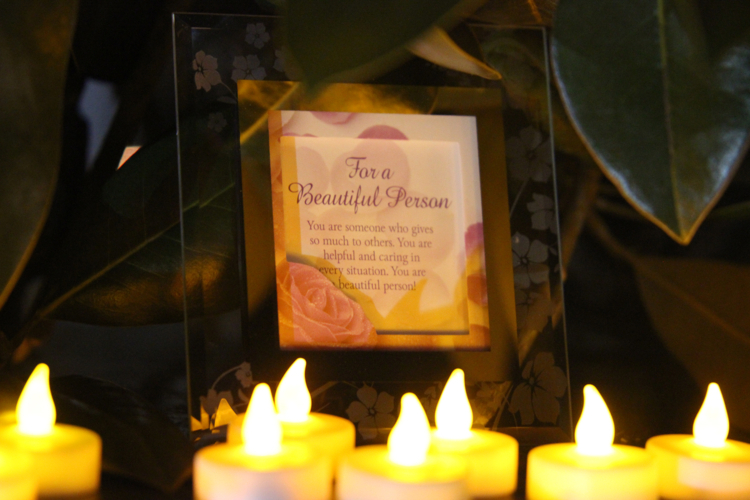 Each person received a tea light candle as they made their way to Hoey Circle, which was decorated with bright white Christmas lights, pictures, notes, and white flower bouquets and wreaths. The NCCU Choir sang somber gospel tunes as everyone circled around the James E. Shepard statue. The speakers at the vigil asked everyone to hold their candles up to the evening sky in memory of Saunders-White, which was followed by a long moment of silence. Toward the end of the vigil, candles were placed near the flowers. Attendees comforted each other after mourning the loss of Saunders-White. 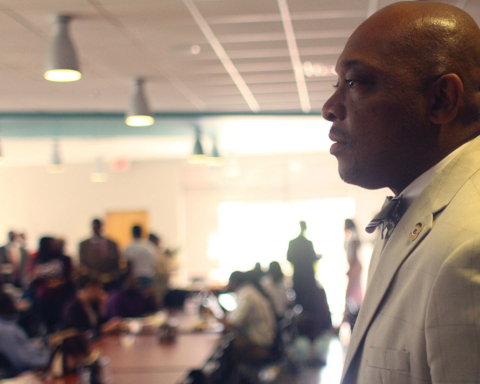 NCCU senior Nathaniel Dunn said he understood what it was like to lose a loved one to cancer. In his experience, he lost his mother to breast cancer. 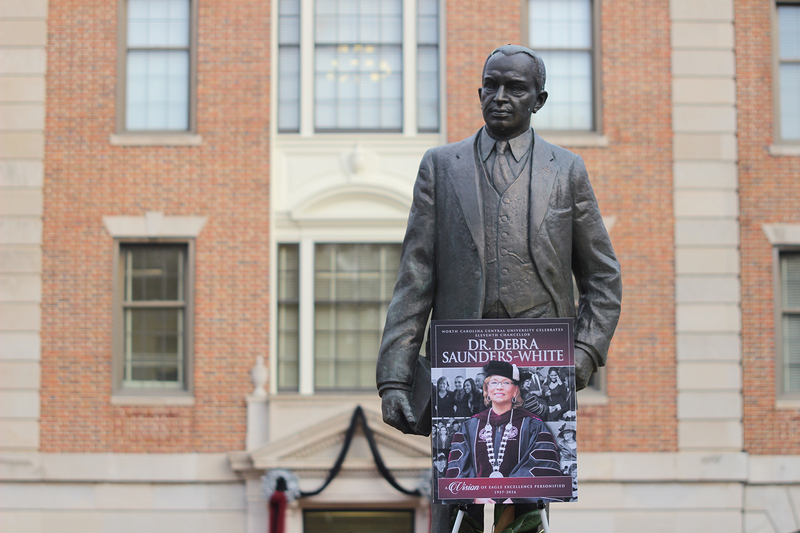 Saunders-White was NCCU’s 11th chancellor and she was the first woman to hold a permanent position of chancellor. 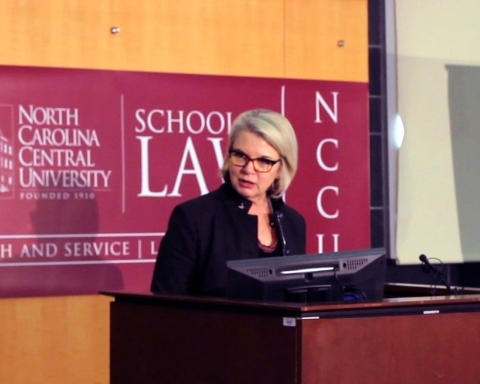 Before becoming the NCCU chancellor, Saunders-White served as a deputy assistant secretary for higher education programs in the Department of Education. The university will be holding the “Celebration of Life Tribute” for Saunders-White on Friday, Dec. 2 at 2 p.m. inside the McDougald-McLendon Arena.